The much-awaited CAG report on Rafale fighter jet deal was presented by the government in Rajya Sabha on Wednesday. Besides, the Prime Minister Narendra Modi-led government is also likely to table the Citizenship Bill and Triple Talaq Bill in the Rajya Sabha, in an attempt to get the Upper House nod before the Budget Session ends. 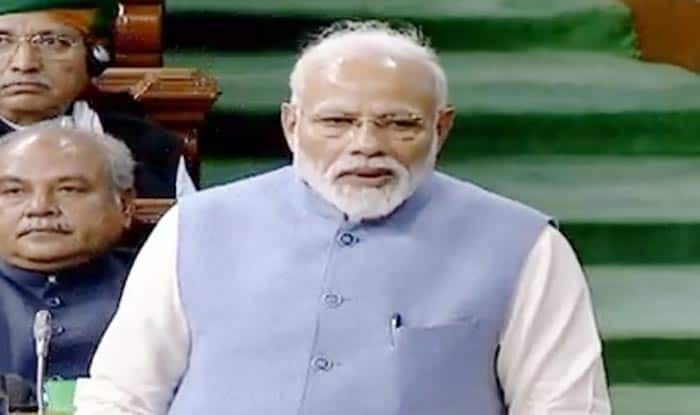 Parliament Live News Updates: When I came here for the first time, I cam to know the difference between ‘gale milna’ and ‘gale padna’, says PM Modi in a veiled jibe at Rahul Gandhi’s ‘wink and hug’ incident. Parliament Live News Updates: PM Modi thanks Mulayam Singh Yadav for praising him, says his affection means a lot. New Delhi: The much-awaited CAG report on Rafale fighter jet deal was presented by the government in Rajya Sabha on Wednesday, last day of the 16th Lok Sabha. As per news agency ANI, the delivery schedule of the first 18 Rafale aircraft is better than the one proposed in the 126 aircraft deal, by five months, the CAG report claimed. Further, finding issues in the UPA era 126 aircraft deal, CAG said that the Defence Ministry team had recommended in 2015 that the proposal of Dassault Aviation Rafale should have been rejected in technical evaluation stage itself as it was non-compliant with RFP requirements. Meanwhile, the Rajya Sabha adjourned sine die. With the development, the Triple Talaq Bill and Citizenship Bill stand lapsed. The Triple Talaq Bill was passed in the Lok Sabha on December 27 last year with 245 votes in favour and 11 against the Bill. An ordinance was re-promulgated in January this year as the revised Bill, which criminalises the practice of instant triple talaq with a provision of three years imprisonment to the erring husband, could not be passed in the Rajya Sabha where the government lacks majority. The Citizenship Bill, seeking to provide citizenship to non-Muslims migrants from Afghanistan, Pakistan and Bangladesh, had created a furore in Mizoram and kicked up a storm in the northeast as indigenous people of the region are afraid that their identity would be lost if the Bill was enacted. Firing a fresh salvo at PM Modi, Rahul released to the media an email dated March 28, 2015 purportedly written by Airbus executive Nicolas Chamussy to three recipients with the subject line “Ambani”. Quoting from the email, he claimed that Ambani was aware in advance of the Rafale deal before India and France announced it in 2015 during Modi’s visit to the country and said that it was in violation of the Official Secrets Act. In a counter-attack, BJP leader Ravi Shankar Prasad said that the Gandhi family has a history of ‘looting’ the country. He added that it was height of “shamelessness and irresponsibility” that the Congress president “abused” the “honest” prime minister Modi. The Congress’ attack on the Modi government over the Rafale deal heightened after a media report claimed that the deal between India and France involved “major and unprecedented” concessions from the Indian government. However, Defence Minister Nirmala Sitharaman dismissed the report as “flogging a dead horse” and accused the opposition of playing into the hands of multinational companies and vested interests.